L: God. This book is good isn’t it? G: This book is Good. L: It’s not original though, is it? G: No, but your personality shines through. That is original. People can see your desire for salvation and your desire for Me. They can see your faults, your weaknesses, your scars and your wounds, but if they have compassion, they can see the heart of you that wants Me, that wants Truth, that wants to be remolded into the Image of God. L: You have spoken to priests and religious many times before, you are in the writings of the prophets and the Saints. You have spoken to many, many people. G: It is I, the Lord who speaks and I have spoken to many. I speak to all who want to listen and learn of Me. Those who want to become gentle and meek. L: It’s not about homosexuality is it? G: It is about homosexuality, but it is about more than just that. This book is about you and Me. It is about what I can do for Man and the fact that I am the Answer to all of Mankind’s dilemmas. It is about Love, self-giving love and the fact that Love conquers all obstacles if Man is willing to learn. It is about how a child comes face to face with Me and wants to know how to change. I have answered your cry from the heart. I will answer your cry from the darkness. L: Amen. Here I am, Lord and I want to learn. I want to be Your Disciple and I want You to be my Teacher. I am eager and thirsty for Your Teachings of Love. I have seen for myself the cost of selfish love and I want You to guide me along the right Path. G: Many people, almost all people want to be loved. This is Man’s greatest error – the desire to be loved by the World, to be loved by friends, to be loved by their lovers, and this was your error too. It was this Way of the World that led to your unhappiness, your selfishness, your acknowledgment of your failure and your succumbing to Me. Very few want to know how to truly love. Very few want to know the ways of Sacrificial Love - a Love that knows no bounds! This is your desire and I Myself have placed this desire in your heart, for My Glory and for your eternal happiness. It is sad and painful that this desire for you came from your heartbreak with Beatrice, but see My Hand in that also. One day your joy will be full, and no man will be able to take that joy away from you, because you will know that it is I who have redeemed you and made you whole again, that I, Jesus, am the One who healed you of all of your pain. Believe me. I am the Answer to all of your prayers. L: I am not worthy of You. L: Only say the word, and I shall be healed. G: Is your Cross becoming too heavy to bear? Is your shoulder hurting, child? G: Come to me now and be quiet. Come and be alone with Me and I will take it from your shoulder and carry it for you for a short while. Let me relieve you of your burden if only for a time. I will give you strength to carry it again tomorrow. L: Thank you Lord Jesus. L: A spider just crawled up to me, Lord. You know I can’t stand them! G: All things bright and beautiful. L: All creatures great and small. G: All things wise and wonderful. L: The Lord God made them all. Yes…point taken, Lord. Goodnight, Lord. G: Goodnight, child. You are Mine. L: Morning, Lord. Mornin’ all. G: Oh, you are a show off. What song do you have in your crazy little head today, then? L: ‘Can I get a Witness?’ by the unsurpassable Marvin Gaye, Lord. It’s a classic. When I listen to it I think, ‘the Lord is calling me to bear witness to the truth.’ The thought of such a vocation fills my heart with joy. G: Yes. Be careful though, most of such thought leads to Pride. L: Yes, Lord, what I need is a thorn in my side like you gave to St Paul. G: You already have one, dear. You’re gay. You could fall any day, either on your own or with another man. You never feel a great amount of shame over your solitary sins. It’s a habit and you’ve been doing it for as long as you remember. You do, however feel an overwhelming sense of shame when you sin with a man. Always remember that My Mercy and Love are greater than any sin. Also, it would serve you well to remember your sins, keep them before your eyes and you shall not be so proud. L: Indeed, Lord, the flesh is willing, but the spirit is weak! G: You are gagging for it aren’t you? L: Yes, Lord but I am trying to live in a State of Grace and want to fulfil Your Holy Will. Also, I am scared of it, Lord. I am scared of doing it with a man. G: Why are you afraid? L: I am afraid of offending You. G: Partly, yes. More than this, however, you are afraid of falling. You are afraid of the shame. L: But I don’t want to just live for those things. I want to do great things for You. G: You want to feel important and holy. L: Okay, that is true. G: I will never lie to you. Everything I tell you is true. By the way, did you have any bad dreams last night? L: No, Lord. It is the first night for a long time that I haven’t had bad dreams. G: Did you dream of Beatrice? G: Take it as a sign that I am healing your tortured spirit. You know dear one, that if you should give into your desires for a man and go looking for it again, I will not blame you for it. I will be waiting for you. I lay no blame on you at all. I have taken all of your guilt, all of your blame and all of your shame upon Myself already on the Cross. Men would judge you. They would think you are like an animal, a dog that cannot control himself, but they do not see you in the way that I see you. Their thoughts are not My thoughts and their ways are not My ways. Man has no inkling of how compassionate I am on human weakness. Woe to any man who stands in judgement of you, My dear one. As for them, they should learn the truth about themselves before casting a judgement upon you. L: There are places in the World, this cruel and unmerciful world, where I could have my head cut off for giving into my sin, Lord. G: There are places in the World, Laurence, where you could have your head cut off for acknowledging that you believe in Me. L: There are people in the World who will burn this book. G: There are people in the World who will burn this book, Laurence. You will make many enemies, and all for speaking the Truth. If anyone mocks you, insults you, or hurts you in any way, then they shall have to answer to Me. L: I pray for all who will read it, that they may see and believe and not kill me. 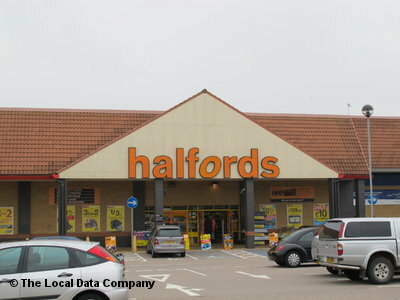 When I used to work at Halfords in my hometown, the place where I was raised, when I was going out with Beatrice, I was always in agony. That voice that you talked about before, the voice that wouldn’t go away, that said, ‘I am gay,’ it drove me insane, Lord. I would try to fight it and say, ‘No I am not! It cannot be true!’ I would argue with myself and tear myself apart. Everyday was a living hell. The other day, I walked into Halfords in the local area and thought to myself, ‘How different I feel now, to how I felt then, when I worked for this company! What relative peace I live my life in now compared to then!’ And I gave thanks to You, for it is You alone who have given me this relative peace, who with human help have graced me to accept my state. If it had not been for You, my God, I do not know what I would have done by now. I don’t know if I could have coped alone. I don’t know if I could have taken the shame and the pain alone. With tears and pleading I begged You to take it away from me when I learned it was my true identity. But You helped me to accept that You would not take it away, that it is my identity and I am still Your child. How many have ended their lives because of the shame!? How fortunate I am to have You as my Compassionate God! The One who takes pity on me and accepts me as I am. The One who knows the bad and the good in me, but loves me all the same. May my heart sing an unending hymn of praise to You, my Creator and Redeemer, for showing me the truth and loving me all the same. Indeed, should You keep a record of our wrongs, if you should truly judge us, who O Lord would survive? But with You, O Lord, there is forgiveness and mercy. For this we revere You. G: I am the Lamb of God who takes away the sins of the World. Happy are those who are called to My Supper. L: I haven’t masturbated since my last Confession, Lord. G: Dear one, you put the con into Confession. When was your last Confession, Larry? G: What day is it today, Larry? G: No. Not in the slightest. Nothing you could ever do could ever impress Me. You have nothing to prove. You think you are strong, but you are weak. L: And when we are weak, it is then that we are strong! L: Great is the Mystery of Faith! L: I have to say, Lord I could really, really do with relieving myself of my repression. But I won’t. I will unite my sufferings to those of my Saviour and persevere! G: The harder they come. The harder they fall. Reader, what goes up, must come down. As you can see My child is amongst the proudest people on earth and cannot bear to be in need of Me. My dear, you are a 25 year old man with strong homosexual tendencies, who is trying to be celibate. You try and your effort and holy will is what pleases Me. But you are a human being! Flesh and blood! I know that you do not live for pleasure alone! You have nothing to prove to Me. I am your Jesus of Mercy. You will fall again and again and again. Have I stopped loving you yet? I tell you I never will. Is your tummy hurting? L: Yes it hurts, Lord. G: You can offend Me as much as you like, My Love is Unchanging. I don’t keep you in chains. L: No, Lord, for the love of You, I will hold on as long as I can! G: You will hold on until your tummy hurts so much that you give in to your lust, toss off on your bed and give your poor body some relief. L: A blessed relief, Lord! G: It’s only blessed if you come back to Me in the Sacrament of Reconciliaton or in private prayer and seek My Mercy. When you do either of these two things you are entirely forgiven by your Holy Redeemer and I remember your sins no more. You might just as well be a newly born child when you use that Sacrament. At the point of Absolution you are entirely clean in My Sight. L: Ah Jesus! I cannot stand falling and acknowledging my weakness and humbly imploring Your Divine Mercy! G: You cannot stand the fact that you are dependent on Me. See, even now, your hands are down your pants. Really, dear, your lack of self-awareness is incredible. L: Oh, God! You’re right! I know, Lord I can’t help it! God, I am like a dog on heat! My God, I could do with getting laid! Anything, in a dress, in trousers moreover! Right now I could just sleep with anything if it breathed, Lord, as long as it breathed and was human. G: So pious in the morning, so sinful in the evening. You have your needs and you are trying to deny yourself. But you will fall again. See reader, I told you he was not a Saint. I know and I understand him. L: For this we revere You. Blessed are You, Lord God of all Creation! G: I appreciate your honesty. L: And I yours. Jesus, I never felt so loved in all my life. G: Though your sins be as scarlet, they shall be white as snow. Right now, do you care what the reader thinks of you? L: I couldn’t give a damn what the reader thinks of me. You love me and that’s all that’s important. Your Opinion is the only Opinion that is worth giving a damn about. That’s the only reason that I can publish this book. Nobody can judge me because all have sinned and fallen short of the Glory of God. The only Person who can judge me is You because Your Judgement is perfect. G: This is the Gospel of the Lord. L: Praise to You, Lord Jesus Christ.